"Cheeses fight with dry wines," says the Wine Spectator. "Try beer," I say. Cheese and wine have long stood at the top of the gourmet pyramid. The mouthcoating texture of soft cheeses can make red wines taste thin and tough, but the sparkle of Champagne cuts through beautifully. Crisp, aromatic whites such as German or Austrian Riesling also do well, especially if they have a bit of sweetness. And, of blue cheese and wine? Many people find that the moldy flavors of these cheeses fight with dry wines. Their creaminess is especially tough on reds. Sweet wines are the answer. And, with washed-rind cheeses, which the Wine Spectator refers to as "extreme cheeses"? Over-the-top flavors make these cheese irresistible to some, but few wines can retain much personality when paired with them. [...] As much fun as these cheeses are to eat, in most cases only very sweet or fortified wines can hold their own against them. 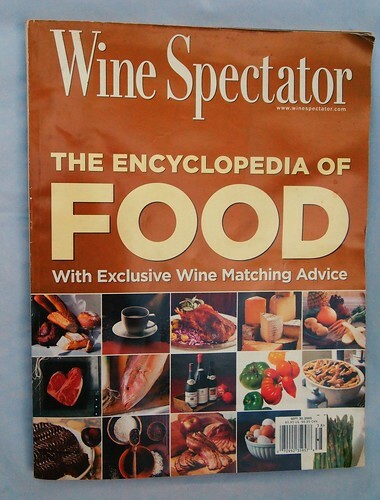 To be fair, the Wine Spectator did, with no hesitation, praise the pairing of red wines with hard cheeses like Cheddar, and of Sauvignon Blancs and fruity reds like Zinfandel with goat and sheep's-milk cheeses. But, with the other great cheeses of the world —soft cheese (like Brie), blue cheese (like Stilton), and washed-rind cheese (like Meadow Creek's Grayson)— the magazine struggled to find gastronomically logical pairings, relying on sweeter dessert wines and their antithesis, tart Champagnes. Even though this 'bible' of the wine world didn't suggest beer as a mate for cheese (now, really, would it? ), it is indeed beer which is the answer. 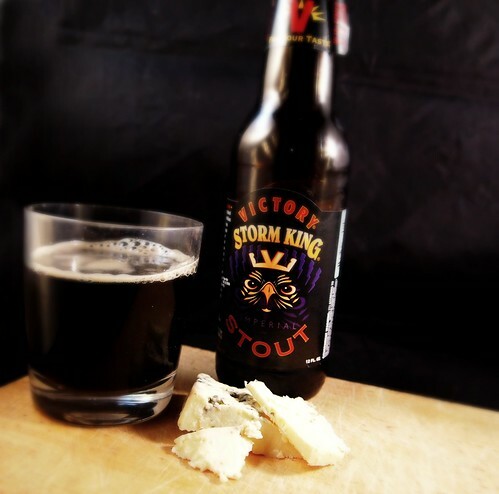 Beer doesn't 'fight' with cheese; and vice-versa. The flavors of the two complement each other: fermentation character, spices and herbs, fruits and fungi, and the flavors of the kitchen and cooking. And, both share a unique affinity. Wine is like fruit jam slathered on the cheese, but beer, made from grains (such as barley and wheat), is like the cracker served with the cheese, already there, liquid in the glass. Some combinations of beer and cheese might be more delightful than others —goat cheese with a pilsner, washed rind cheese with an abbey ale or an American IPA, blue cheese with a stout or barleywine (no 'fight' there! ), cheddar with a pale ale or brown ale— but one would be hard-pressed to find a poor pairing of the two. Simply apply the the first rule of serving cheese-with-beer: there are no rules, only enthusiastic suggestions. And remember that Wine Spectator suggestion of Champagne with soft cheese? It's all about bubbly texture and acidity, to cut through the milkfat. Why not, next time, with your Camembert, drink a tart/funky gueuze-lambic instead? Same idea, only with more flavor in the beer. Or why not try that same funky gueuze but with a stinky (in a good way) Epoisses? Or ... so it goes. This is such an easy and rewarding thing to do with beer. Any honest wine professional will admit that the motto in the grape trade is "taste with bread, sell with cheese." [...] Beer and cheese, on the other hand, well, that's just a match made in gastronomic heaven. [...] So put away your corkscrews and break out the beer the next time cheese is on the menu. You may get a curious sideways glance from the wine snobs in the crowd, but everyone else will likely enjoy themselves immeasurably more.